CACI InternationaI (NYSE: CACI) has received a potential six-year, $407 million task order to help Department of Homeland Security components implement cybersecurity tools. DHS awarded the Continuous Diagnostics and Mitigation Dynamic and Evolving Federal Enterprise Network Defense – Group A order via the General Services Administration‘s Alliant contract vehicle, CACI said Tuesday. The company will design, create, deploy and operate integrated CDM tools and dashboards for the department personnel to secure information security assets from cyber threats. 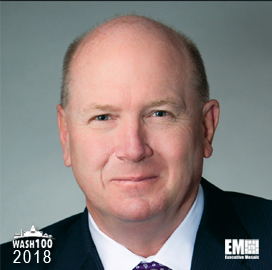 Ken Asbury, president and CEO of CACI, said the company aims to help protect DHS networks and data with an “adversary-centric” approach and cyber operations expertise. The company will also manage software and hardware assets; cloud-based and mobile devices; and configuration-setting and vulnerabilities under the task order. CACI noted the award represents new work for the firm’s cybersecurity business.